I mentioned in a previous blog that we have seen a huge increase in demand for marble kitchen worktops in the last few years. 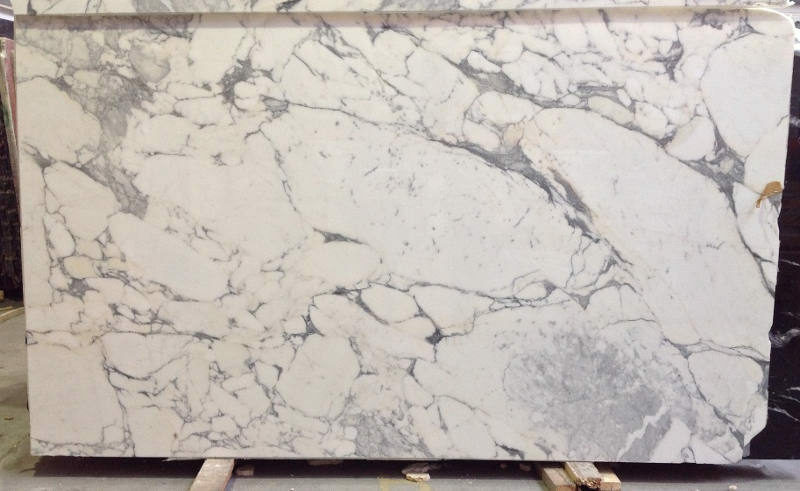 In particular Carrara marble is highly sought after and seems to be coveted by a lot of our clients. The beautiful white and grey marbles such as Carrara or Arabescato (as shown above) work perfectly well with all kitchen styles – from the traditional painted wooden cabinetry to the highly modern and contemporary kitchen. 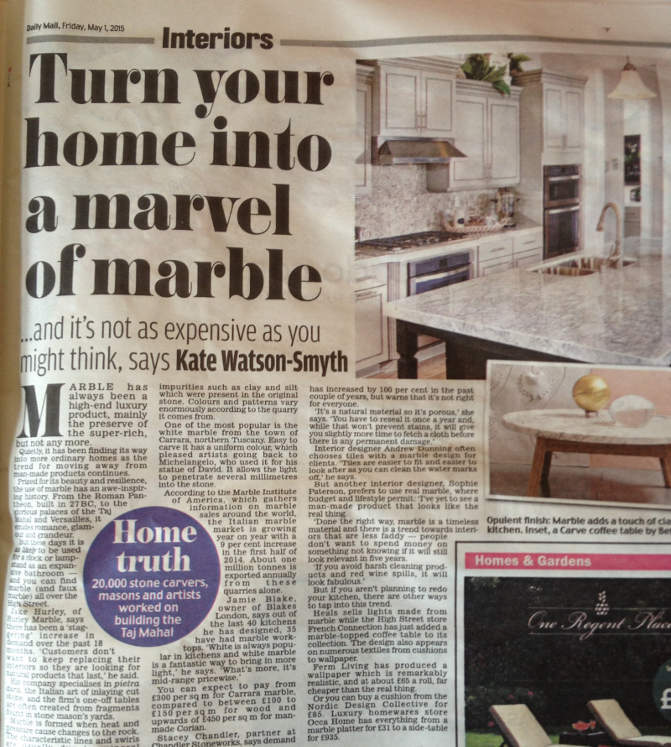 The Daily Mail published a feature in their Interiors section last Friday “Turn your home into a marvel of marble” which highlights the growing trend for all things marble – we were even quoted which was really exciting! 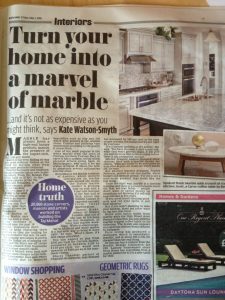 It was great speaking with the journalist, Kate Watson-Smyth, as she was equally as passionate about this beautiful stone!